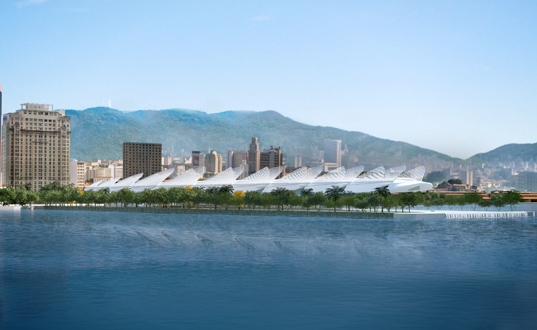 Internationally-renowned architect Santiago Calatrava has just unveiled his latest work — a sleek and sustainable “Museum of Tomorrow” planned for Rio de Janeiro, Brazil. 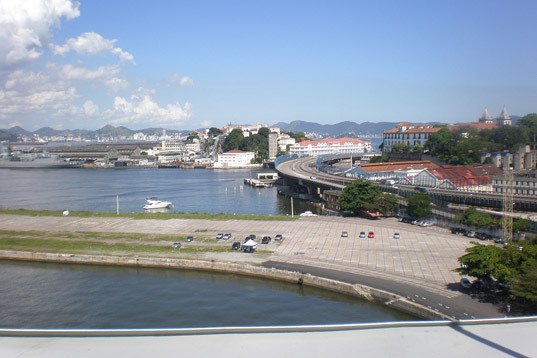 Situated upon the currently barren Pier Maua, the “sustainably-focused” museum is part of a massive urban revitalization project launched by the city in preparation for the 2016 Olympic games. The elegant cantilevered structure was modeled after the surrounding landscape, and it features a transforming facade that allows it to adapt to changing environmental conditions. As the city of Rio de Janeiro gears up for the upcoming Olympics we’re looking forward to the unveiling of many more architectural feats, and we can’t help but wonder if that giant energy-generating waterfall made the cut. Internationally-renowned architect Santiago Calatrava has just unveiled his latest work -- a sleek and sustainable "Museum of Tomorrow" planned for Rio de Janeiro, Brazil. Situated upon the currently barren Pier Maua, the "sustainably-focused" museum is part of a massive urban revitalization project launched by the city in preparation for the 2016 Olympic games. The elegant cantilevered structure was modeled after the surrounding landscape, and it features a transforming facade that allows it to adapt to changing environmental conditions.